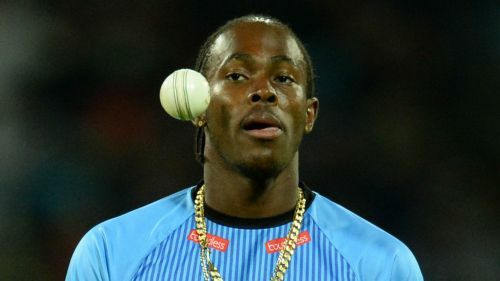 Michael Vaughan believes Jofra Archer can force his way into England's 15-man squad for the Cricket World Cup despite being left out of the preliminary selection. Barbados-born Archer received his first England call-up on Wednesday as part of a wider party for the upcoming ODI series with Pakistan. However, he was not one of the names in the initial squad for the World Cup as England opted to keep faith with the likes of Liam Plunkett and David Willey in their seam attack. Archer could still force his way in, though, should he impress against Pakistan and Vaughan says the all-rounder should be first-choice if he can prove his quality. "He can make a big impact," Vaughan told Omnisport ahead of the squad announcement. "If Jofra Archer's fit and playing, going alright, can get mixed into the group, he walks straight into the XI." Congratulations on your first England call-up @craig_arch! He has been selected along with @CJordan for our ODI series against Pakistan. Winning the 50-over World Cup is something England have never done, but Eoin Morgan's side go into the tournament as favourites after making significant improvements in the limited-overs game since their dismal group-stage exit four years ago. And Vaughan thinks they could go all the way, providing the nucleus of Morgan's squad can stay fit. "You need to see no players getting injured," the former England skipper added. "A Jos Buttler missing out for England would be a huge loss, [he] can't be replaced at one-day level. "If England have a fully fit squad, they're going to go a long way to winning." Michael Vaughan was speaking at an event held by ICC Cricket World Cup England & Wales 2019 Official Timekeeper Hublot to celebrate the 100-day countdown.